United Airlines has previously opened one Polaris Business Class Lounge in Chicago, but their second San Francisco lounge will open this week and in this review, I share the CGI photos (in the scroller above) that United has provided showcasing this new lounge. The new San Francisco international Business Class Polaris lounge will be a huge 28,000 square feet with 440 seats and 492 power outlets. There will be 8 shower rooms with Soho House & Co. spa products and 5 day beds with Saks Fifth Avenue bedding. If your clothes are looking crumpled, the Polaris concierge service will steam clothes. Food will be table service AND buffet. The menu will be extensive and will include United’s Polaris Burger. The buffet has a ramen noodle bar in the afternoon. Find out what it’s like to fly in United Airlines Polaris Business Class in my most recent reviews. If you would like to fly United in Business Class, but don’t want to pay for it, I suggest reading my 10 tips on how to get a free upgrade to Business Class. 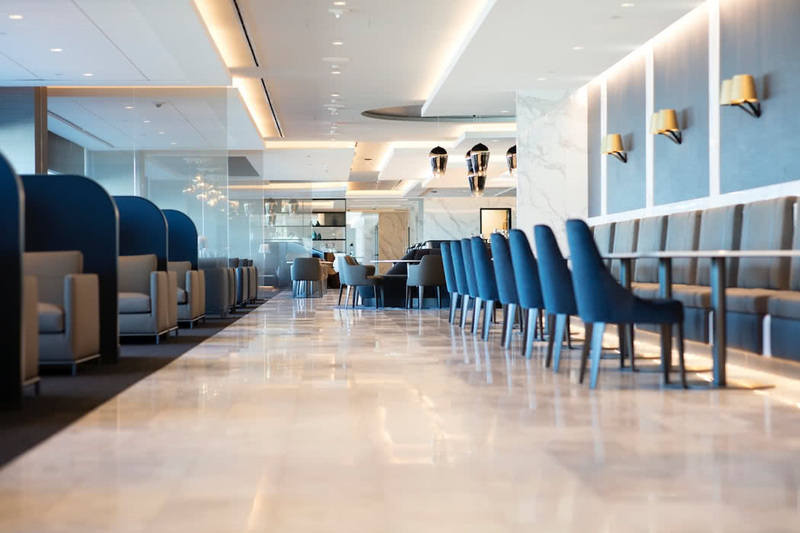 Following this lounge opening, the Newark and Houston Polaris airport lounges are due open in the following months with Los Angeles opening a Polaris lounge towards the end of the year.